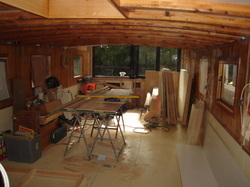 Well, here's a shot of our floating cabinet shop. Somehow it seemed like a good Idea to move a ton (literally- well, 1,907 lbs.) 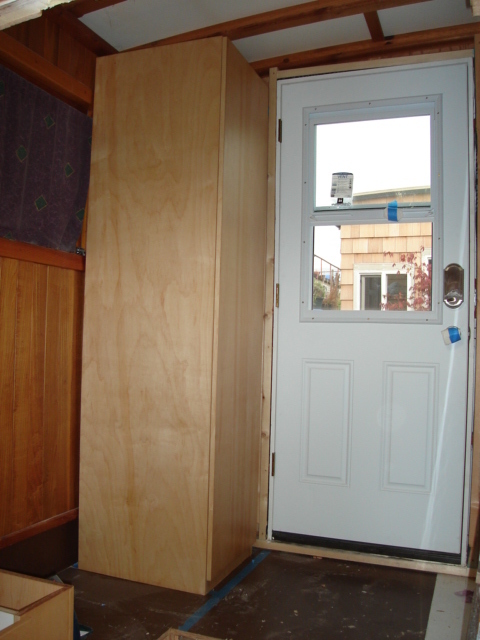 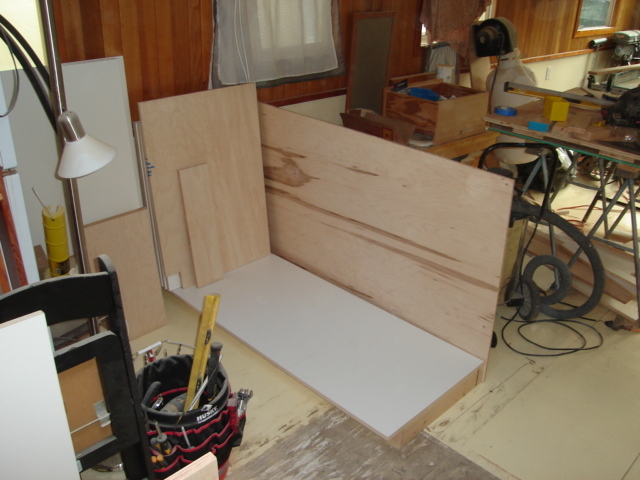 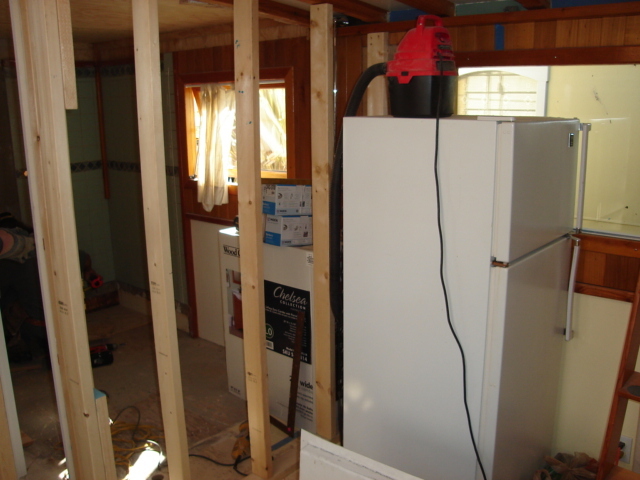 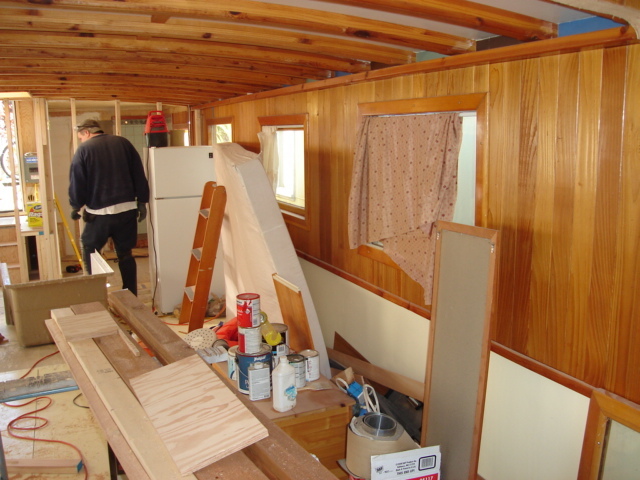 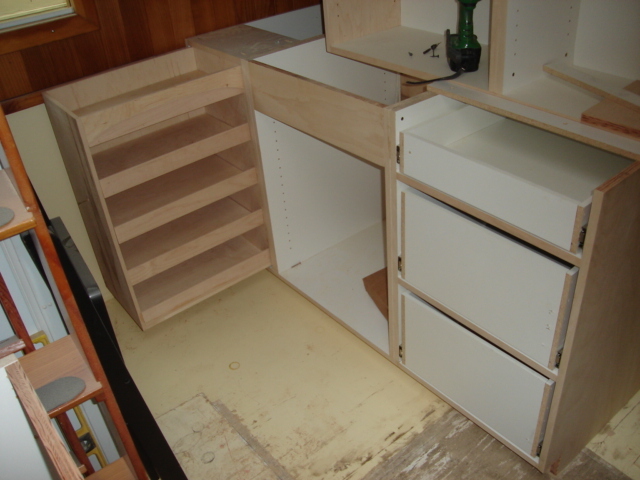 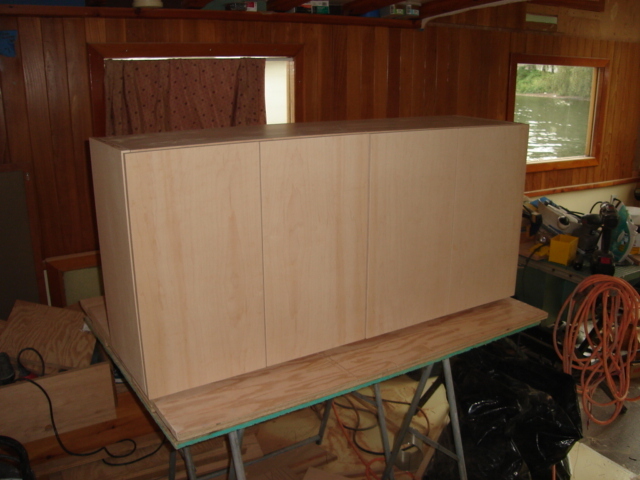 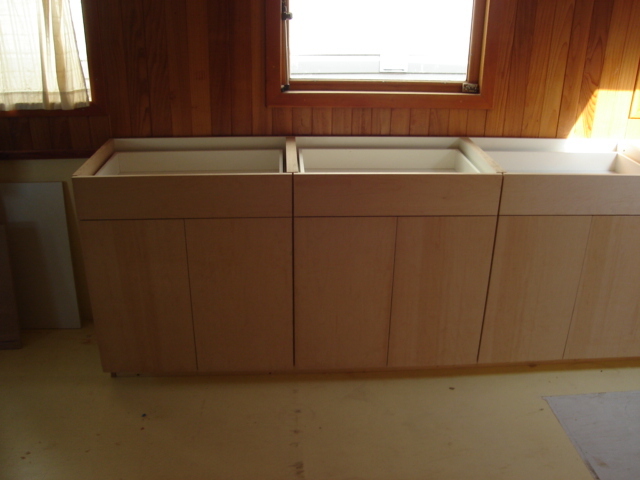 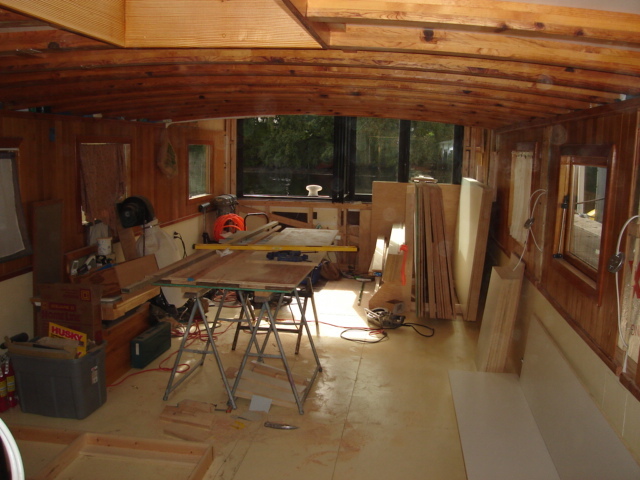 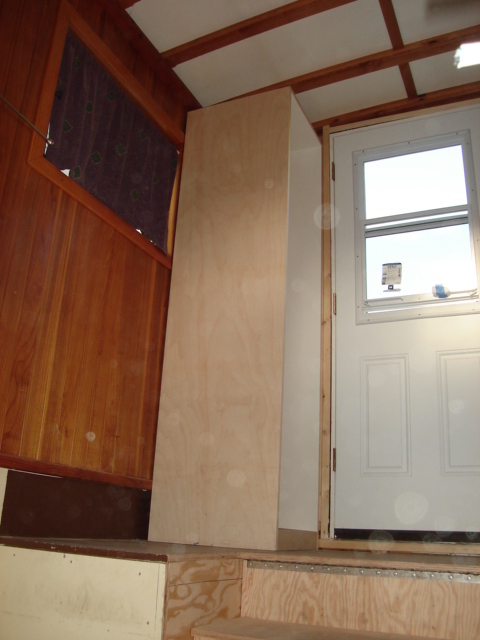 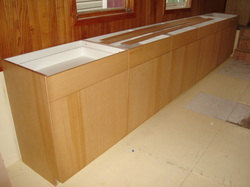 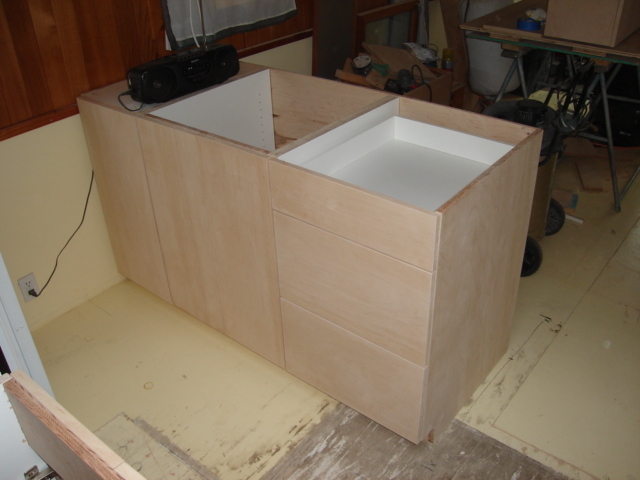 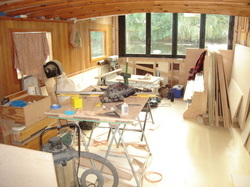 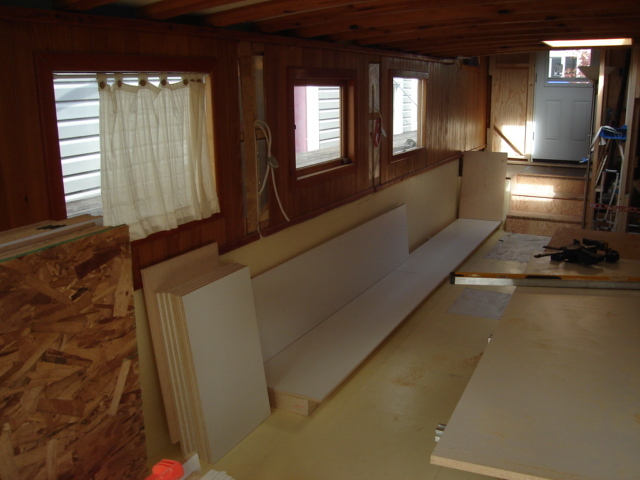 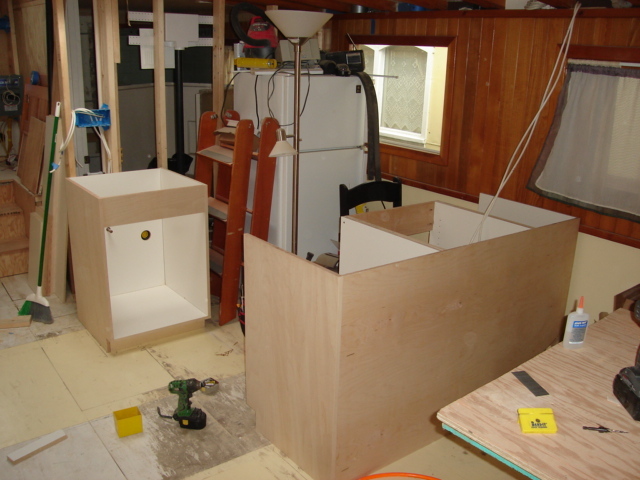 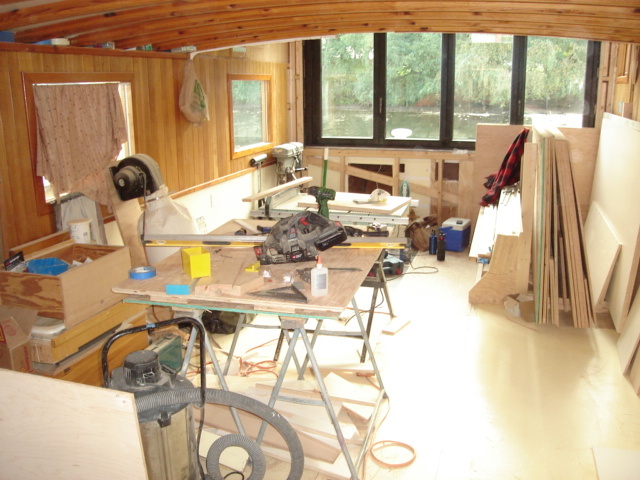 of plywood onto the boat and make the cabinets there. So far all seems to be going well. 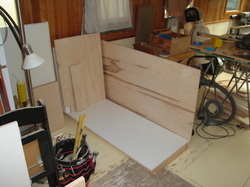 I hope to finish the project by the end of the week. 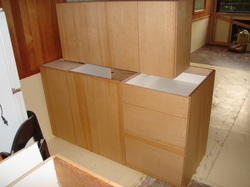 All drawers are on full extension drawer glides. With the doors and drawer fronts installed. 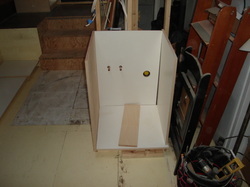 The sink base and dishwasher panel. 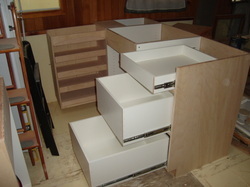 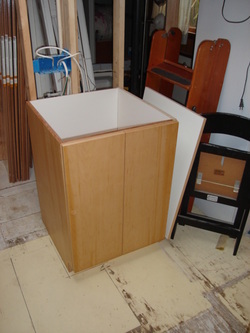 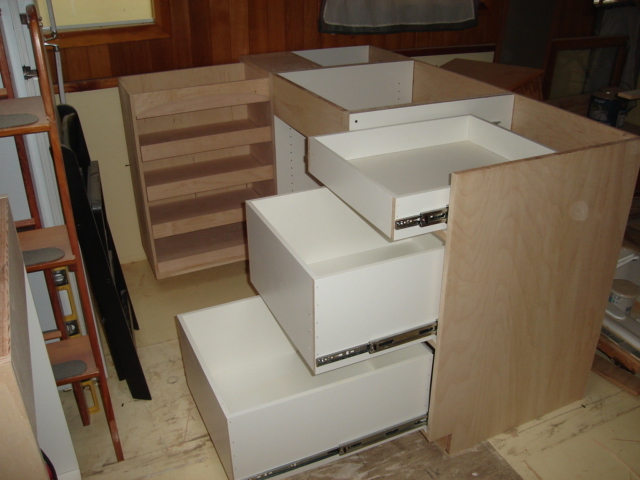 The island cabinet- the range will go in th center bay. Now we get to see the cabinets with two coats of the hard wax finish. 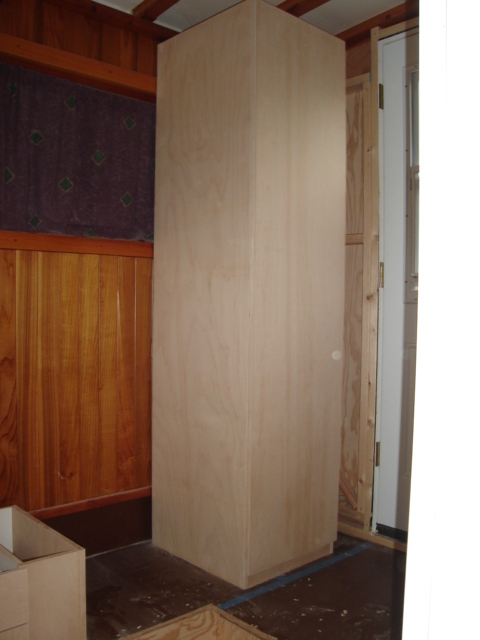 Designed to penetrate completely, it leaves the wood silky smooth and protected without a heavy surface coating. 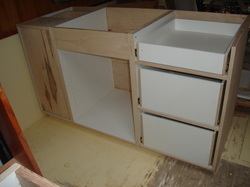 The shelves are adjustable. 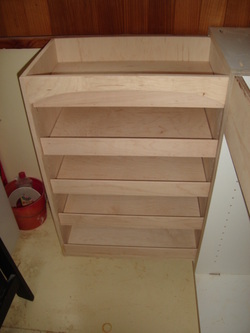 The shelf in the top position functions as a tray, or can be removed to allow storage of taller items. 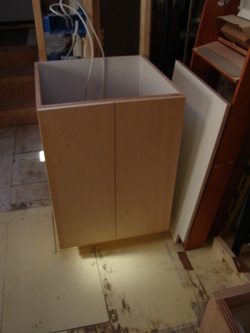 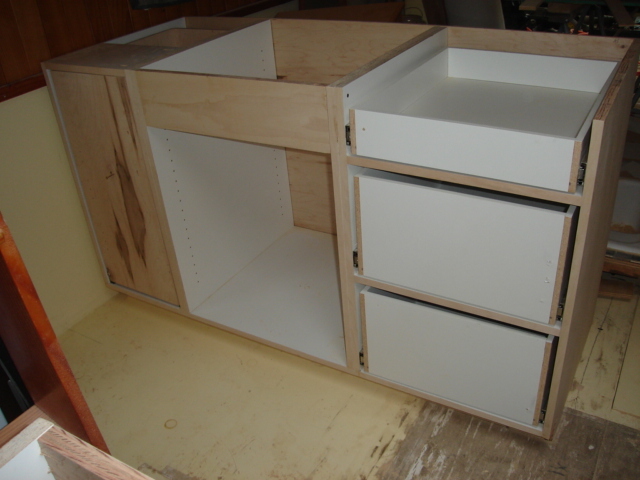 This upper cabinet will go above the sink base and dishwasher. 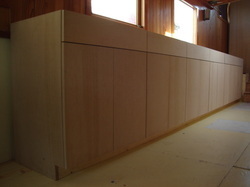 This finish is natural, non-toxic, plant based waxes and oils. And it's durable enough to be used as a floor finish!